Lighting for garden steps is often achieved by means of decorative lighting techniques using spotlights or downlights of one sort or another mounted on adjacent structures, walls or trees. Where there is an absence of these lighting platforms, specific step lights need to be incorporated in the lighting design to fulfil this function, which has both practical and safety implications. 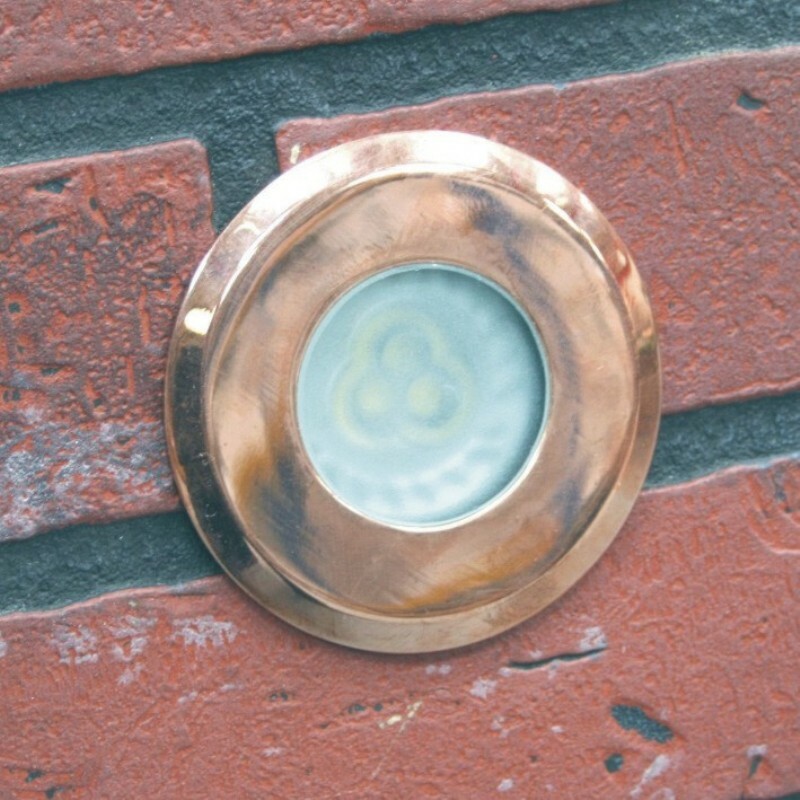 Where there are flanking walls, use of discrete surface or recessed steplights or bricklights provides localised lighting. In the absence of walls, the choice is often between spreadlights (lights on a stick) and bollard lights (lights in a stick). Steplighting is a functional requirement rather than a lighting technique. Lighting for steps themselves is required for proper visibility and confidence in movement. Each tread should receive direct lighting, unshadowed by the riser above, from light sources shielded within the step light so the pedestrian is not blinded or distracted by glare above as he or she ascends the staircase. 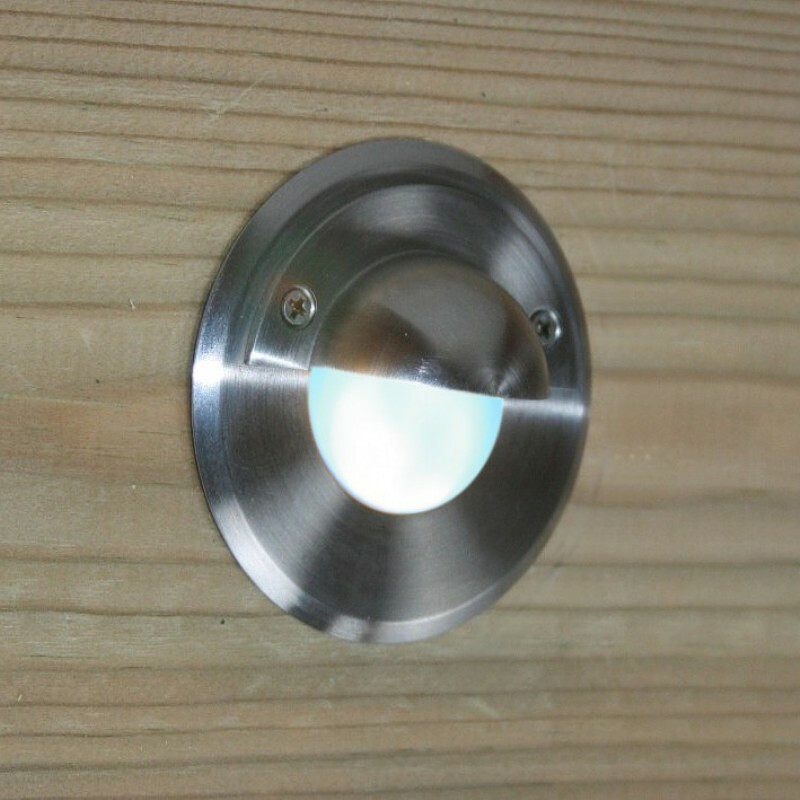 Steplighting is best provided by small lights set into or mounted on a flanking wall; they are often characterised by shields, grills, inset lamp housings or “eyelid” hoods that hide the light source from passing overhead view. A recessed steplight is a light set into a wall or flanking structure and whose role is usually confined to lighting 2 or 3 steps. A rule of thumb is to first choose the group of 2 or 3 steps to be lit by each light, then draw a line across from the top of the tread of the upper step and upward from the front of the riser of the lowest step; the correct lighting position will be forward and above where these two lines meet if unshadowed lighting of both treads and risers is to be achieved. 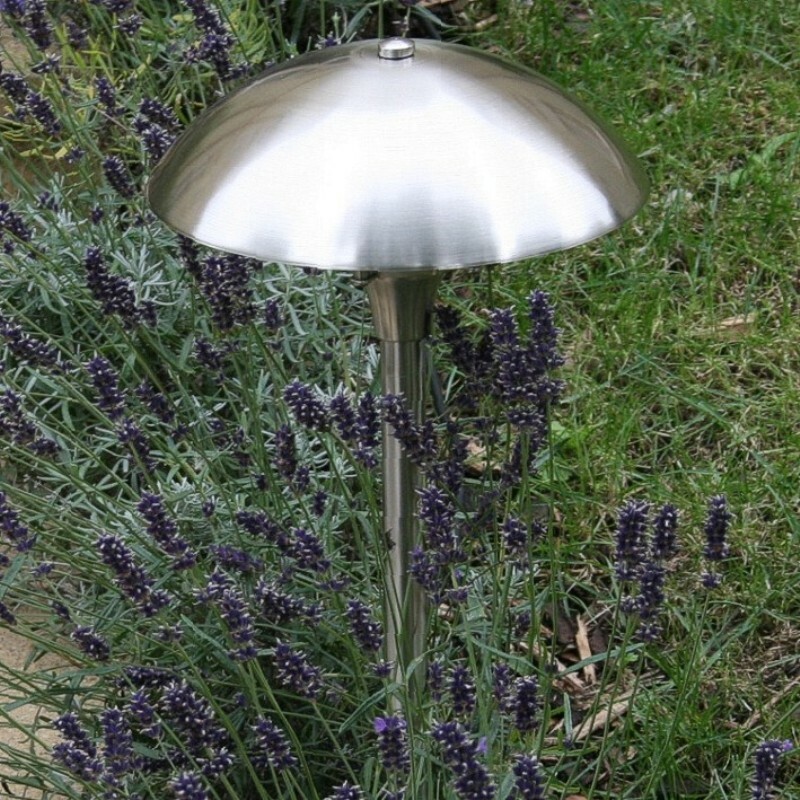 They are usually 12v units as MR16 halogen lamps have permitted development of compact sizes. 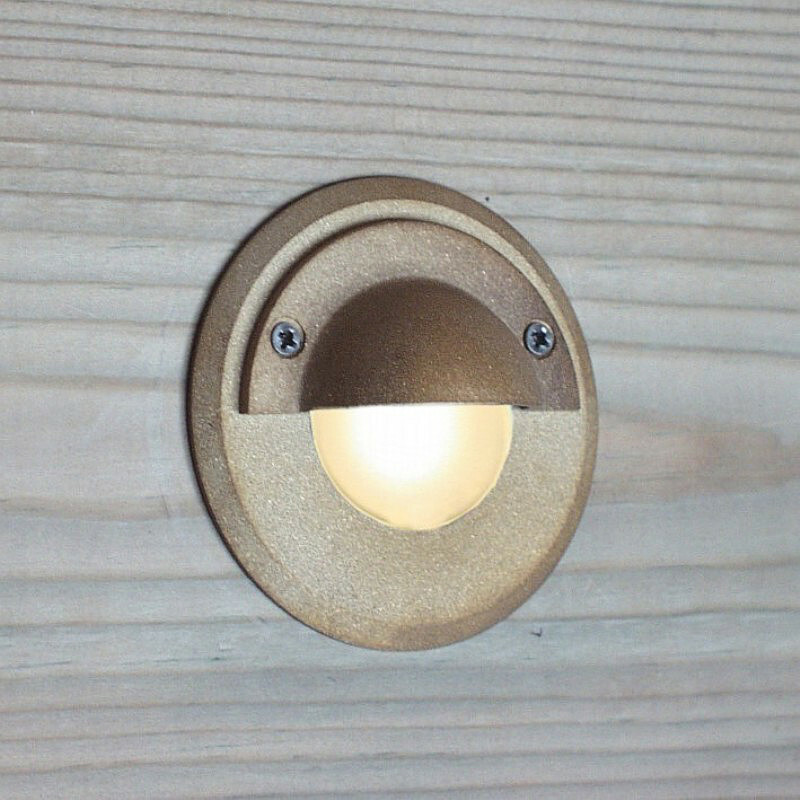 Recessed steplights with eyelid hoods hide upward glare if you are walking alongside them, but don’t use recessed steplights facing the house, the conservatory or the patio even if you have kept the lamp wattage low (or used an led lamp) and incorporated a frosted lens to diffuse its appearance. Smoothie range, named for the absence of visible fixings, includes models with plain rim and eyelid models. Where there are no flanking walls, then lights in risers may be the only alternative, in which case they should be shielded or not be so bright as to disorientate a person climbing the steps. 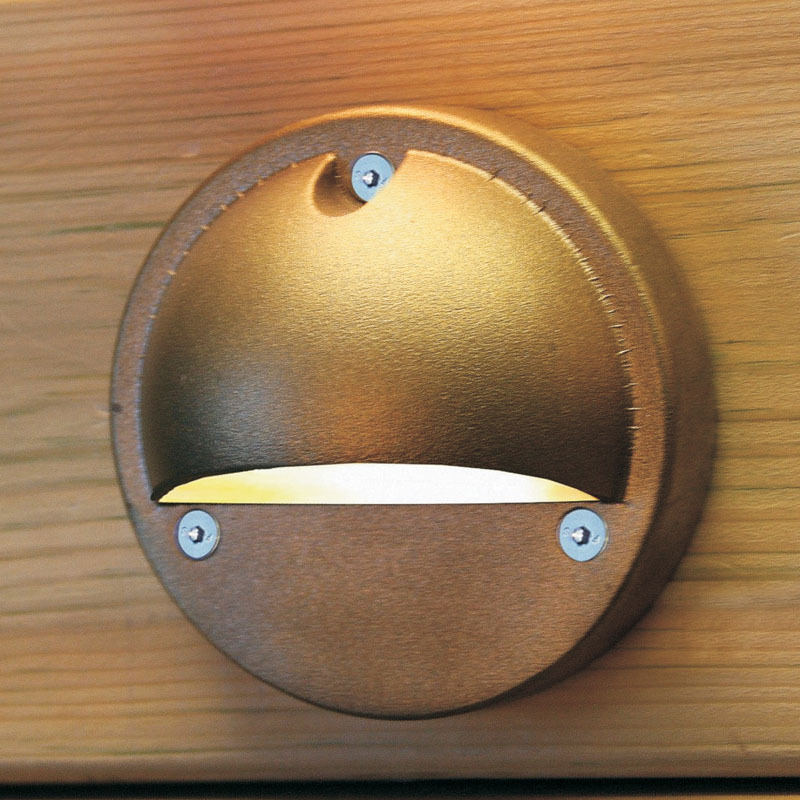 Small recessed l.e.d lights such as Navigator Minor are one approach: The Navigator range includes Navigator Eye which combines an eyelid hood, a 1w led light source and a very compact size into one steplight design – this is ideal where the flanking wall or board at the side of the step is too low for conventional steplights, so “grazing” across each tread with a small fitting is one of the few options available.